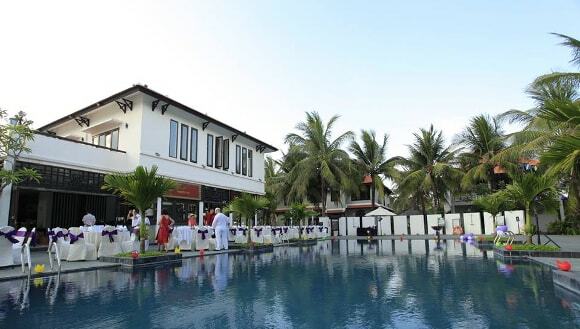 The Hoi An Beach Resort attaches tourist because of its two sides. One is the romantic De Vong river while another is peaceful Cua Dai coastline. 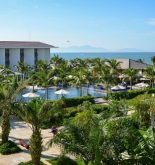 With the convenient position, from Hoi An Beach Resort, you can visit a large number of attractions as well as the famous historical monument such as Hoi An old quarter, My Son sanctuary, the Da nang museum of Cham sculpture, Hue imperial city beyond mountain pass. 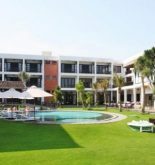 The Hoi An Beach Resort includes a large number of villas, where have specific characteristics of Vietnamese traditional villages and 122 bedrooms, where are equipped full of modern equipment and facilities so tourists will be serviced thoughtful and are met demands. At your room, you are able to see beach which overlooks the mysterious Cham island, a quite river across De Vong river or the far green paddy field with the plain and honest farmers. What is more, there you can also watch sunrise in the early morning to begin a new day on De Vong river. At Hoi An beach resort, you can enjoy many Euro-Asian cuisines. Address: 01 Cua Dai St, Hoi An, Quang Nam, Vietnam. 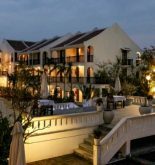 This information has been supplied by Hoi An Beach Resort.